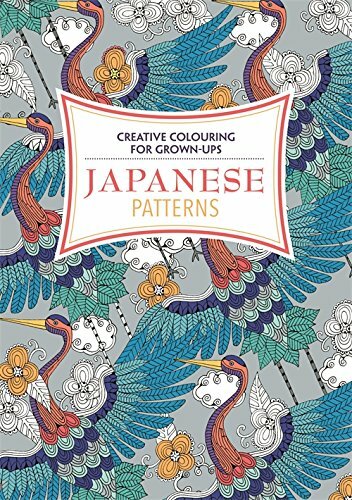 Get your pens, pencils, crayons and paints out and lose yourself for a little while in colouring a template and/or filling it with patterns. Turn off the technology, give yourself some time and space. 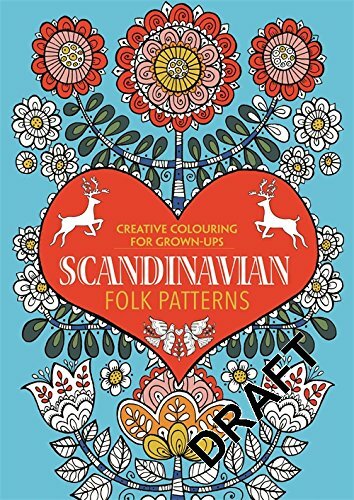 One of my designs from Entangled is available to download for this event from Dover Publishing’s Colouring Day page, as are other gorgeous designs, as well as a specially designed one for the day. You can also download one of my owls from Color Me Happy via Hobbycraft. I’d love to see what you do with them, I really would! Another mention in the press! I’ve been mentioned towards the end of this article in the Boston Globe. Also, Color Me Calm has made another bestsellers list on philly.com in the Trade section. Color Me Calm comes in at number 5, between James Patterson and Jodi Picoult! Who’d’ve thought it, eh? Listed up there amongst such successful and popular fiction authors! Pens, pencils, rulers, protractors and compasses all busy, busy, busy here! Over half way through Color Me Stress-free’s black and white lineart (artwork for four out of the seven chapters done!). I’m keeping the coloring of the colored samples until all the black and white is done as my big treat – I don’t often get to color in my own artwork these days! 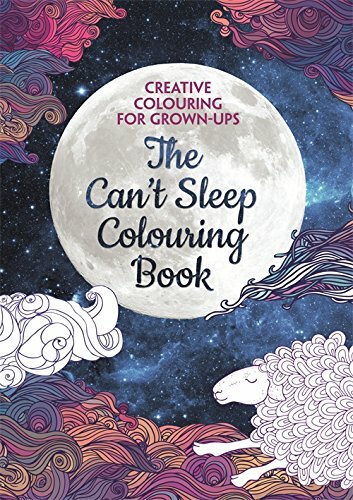 Another news article mention for the Color Me books! It’s National Crayon Day – and it’s not just for kids. It’s also been brought to my attention that the books were mentioned in an article in the New York Times today too, though I don’t have a link to that …yet. More coloring books with my art in them! 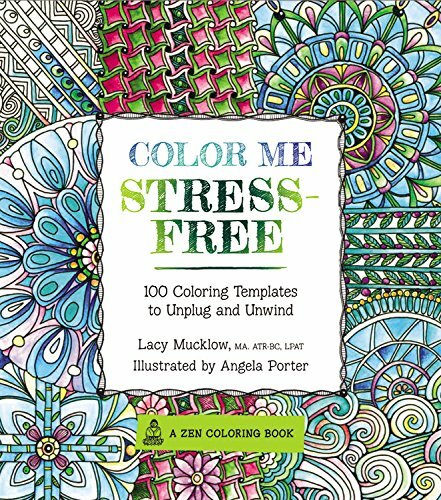 Coming up in the Autumn is another book in the Color Me series – Color Me Stress Free, published by Race Point Publishing. There’s also four books coming out from Michael O’Mara books where I am one of a few contributing artists. All of these books are available to pre-order on amazon, and here are the links. It’s been a while since my last blog post. 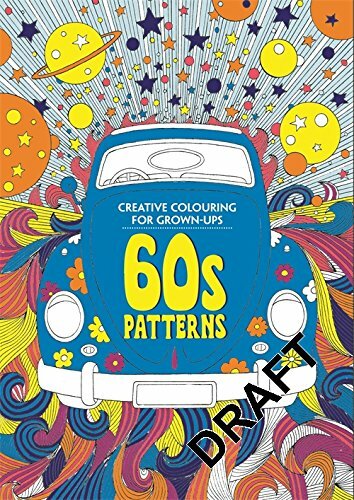 The reasons for this are many but include focusing on the art projects “Color Me Calm” and “Color Me Happy“, a return to work after a very extended period of illness, and now working on a book project called “Entangled” for Dover Publications. It’s been a busy but exciting time with these projects, and I’m sure there’ll be more in the pipeline for me. I’m hoping that this will result in me posting to this blog more often, with updates and sneak previews from time to time of the projects I’m involved in. I have also had to create a facebook page for myself, Angela Porter Artwyrd. 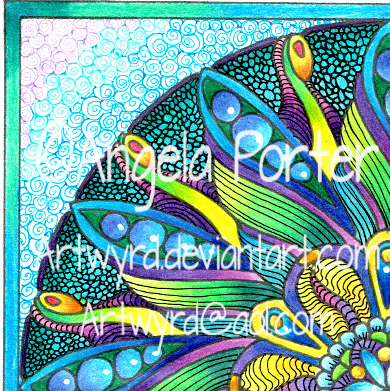 Here’s a sneaky preview of one of the Mandalas in one of the ‘Color Me’ books.